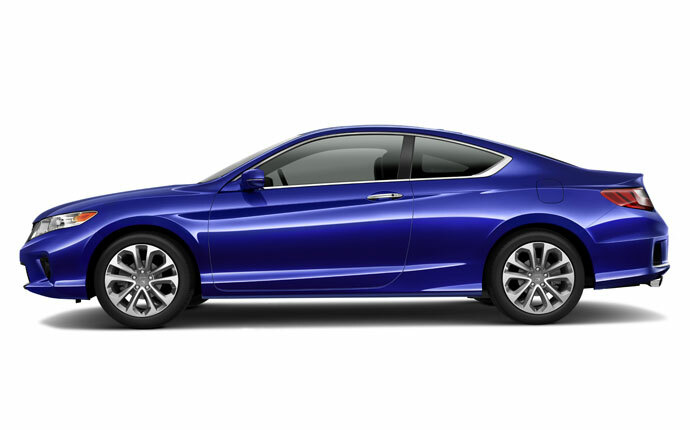 The 2014 Honda Accord Coupe is quite fuel efficient thanks to its highly economic engine. Being “economic” does little to limit their Accord Coupe’s power and overall “cool” factor that have made it a perennial favorite around Middletown and Mechanicstown. Despite its similar size, power, and price tag, the 2014 Malibu ECO actual trails behind the Accord Coupe in terms of fuel economy. Malibu drivers also miss out on a few standard features enjoyed by Accord Coupe drivers. Both the 2014 Accord Coupe and the 2014 Chevy Malibu ECO come equipped with a 2.4L four-cylinder engine. The Accord Coupe has a power rating of 185 hp and 182 lb-ft of torque; the Malibu ECO offers a similar power rating. The Accord Coupe also comes standard equipped with a rearview camera that drivers to easily see what’s behind them. This can be handy in a tight parking lot, or in areas where children may suddenly run behind a car. The Malibu ECO does not come equipped with this feature. When you’re behind the wheel of the Accord Coupe, fuel economy is at the back of your mind. Learn for yourself all of the other reasons that drivers love the 2014 Accord, such as the way it handles and the comfortable feel of the interior, at Middletown Honda. Our dealership is located at 520 Route 211 in Middletown, a short drive from Mechanicstown and other area towns. We’re pleased to continue to be one of the top dealerships in the area thanks to our honest, yet relaxed way of doing business. If you have any questions, please feel free contact our dealership. * 24 city/34 highway/28 combined mpg rating for 4-cylinder Coupe 6MT models. 26 city/34 highway/29 combined mpg rating for 4-cylinder Coupe models with CVT. 18 city/28 highway/22 combined mpg rating for V-6 Coupe 6MT models. 21 city/32 highway/25 combined mpg rating for V-6 Coupe 6AT models. Based on 2014 EPA mileage ratings. Use for comparison purposes only. Your actual mileage will vary depending on how you drive and maintain your vehicle.